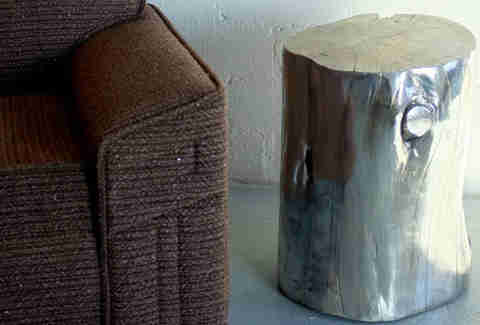 Chromed Tree Stumps: They make these side tables to-order outta "naturally felled" cedar, oak, and maple they then chrome, seal, and hand-finish -- finally, a legal way to pay someone to polish your stump. 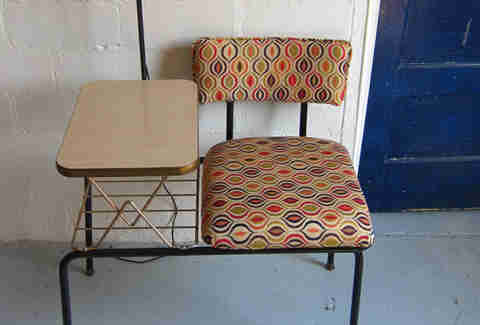 Mid Century Telephone Chair: All this guy needed was some fresh paint & upholstery; most surprisingly, much like ageless actress Judith, the Light still worked. 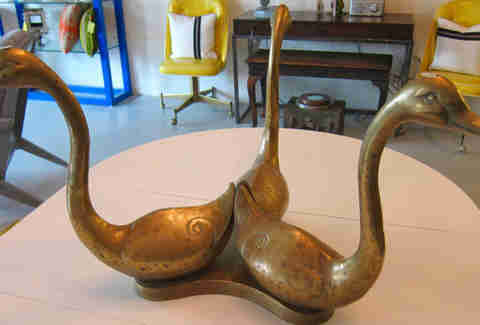 Geese Coffee Table Base: Representing a glamorous-bordering-on-garish style of decor popular during Hollywood's Golden Age, this handsome piece is made out of solid... brass. WTF, Hollywood's Golden Age?! 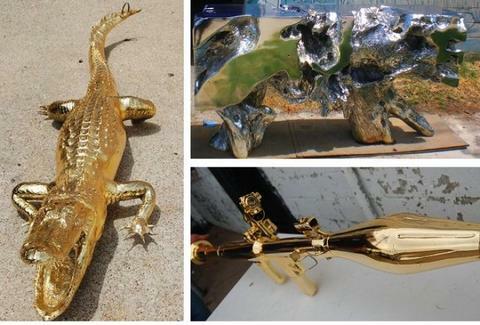 The rest of the current trove stretches from '50s-era lounge chairs, to a gilded alligator, to an oak library table, though one thing that'd be truly stranger than fiction would be you sitting at one of those reading it.